There’s a favorable exchange rate when transitioning from bitcoin to drones, according to Dan Held, the co-founder of Hover—a mobile app for drone pilots that enhances situational awareness. Ian speaks with Dan about why he chose to make a drone app, the latest drone news, and gets his mind blown after igniting an exciting discussion on how a future, autonomous, bitcoin-based drone delivery fleet and service network could actually work. 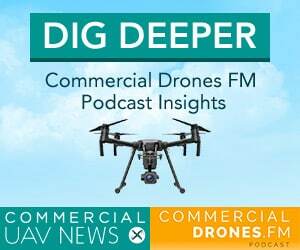 [00:00:00] [Introduction]: Welcome to Commercial Drones.FM, the podcast that explores the commercial drone industry. The people who power it and the concepts that drive it. I’m your host Ian Smith. 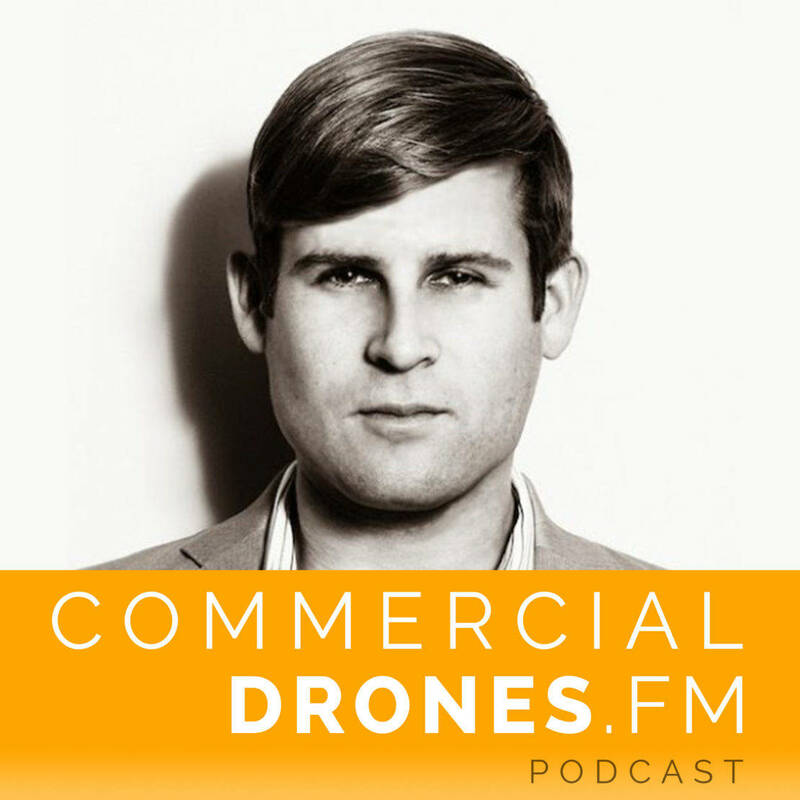 [00:00:15] IAN SMITH: Hey everyone welcome to commercial drones.Fm, today I’ve got Dan Held with me here in San Francisco. He is the co-founder of Hover a mobile app for drone pilots on Google Play and the iOS App Store founded a company called analytica a mobile growth company and also zero block and has worked extensively in financial tech and is passionate about financial technology and drones. So welcome to the show Dan. [00:00:43] DAN HELD: Thanks Ian, glad to be here. [00:00:44] IAN: Very very excellent to have you. First of all what’s the deal with all this financial attack like what is the background of Dan how. How did you get into financial tech? [00:00:54] DAN: So I originally started at a small investment firm right out of college. I studied finance college in and then worked at a small investment firm in Dallas as an analyst and they asked me if I’d like to be relocated to San Francisco and it sounded pretty cool. I mean that many people get outside of Texas. [00:01:11] IAN: That makes two of us. [00:01:15] DAN: It’s good to be out here. And that was about four years ago. So they relocated me out to San Francisco and while I was out here I got involved in that Bitcoin community and yeah I got involved in Bitcoin community and at the time there’s only you know 10 or 15 people there. This was before the price went crazy they said before VCs invested in it and we went to these meet ups and it’s kind of like church. [00:01:41] IAN: What year was this? [00:01:44] IAN: Ok church. OK.
[00:01:45] DAN: Yeah it’s like going to church and you meet other people that believe what you believe in at the time. I mean we’re pretty nuts. I mean no one that Bitcoin is for real. You know it’s everyone thought it was a Ponzi scheme or a scam. So it is pretty exciting. Now we started out with like 10-12 people at this meet up. And then March 2013 the price spike to $260 Bitcoin and then there was a 100 people at the meet up. And there was VCs handing out their cards and that was kind of the start of the really big Bitcoin movement in 2013. [00:02:24] DAN: So yeah and while in the bitcoin space feel like man you know it’s the price of bitcoin keeps fluctuating like it’s really volatile. It would be nice if we could open up an app and check the live price of Bitcoin and at the time no app at the App Store had real time market data and the API calls were free. [00:02:45] IAN: So a perfect storm. [00:02:47] DAN: Exactly yeah we took it and made these free API calls, made the price live, added a chart and a web view and added a news feed and so Zero block was born. [00:03:00] IAN: Awesome cool. So started in apps and I guess I would love. Of course because the shows about drones. So how did you kind of get into drones? I mean you know you co-founded Hover which is a mobile app for drone pilots. Did you take some of that experience from being in financial Tech and starting that first app into Hover? [00:03:23] IAN: Yeah I think a lot we learned a lot. I had the same co-founder Kevin Johnson with Hover. We were the co-founder of Hover and zero block and we learned a lot building Zero block. We made a lot of mistakes but, you know from those mistakes theres a lot of learnings. So in terms of marketing the product building it, prioritizing different features. So we learned a lot from 0 block and were able to kind of replicate that same success with Hover. For example the news feed is very important as it increases engagement. There’s always fresh content for the users to open up and check out in Hover. So that was a feature that reported over where at least was inspired by her blog. [00:04:09] IAN: Do you see any areas where. I mean I’m just kind of drawing from the whole church thing you know everyone is believing things like, believing the same thing and now you know they kind of had this explosive growth so going through that with Bitcoin. Are we safe to say there’s some similarities with the drone industry? [00:04:28] DAN: Yeah. I mean it was super exciting 2014 and 2015 seeing, the drone community come from you know from RC hobbyists and kind of explode into a mainstream. Let’s say there’s a drone underneath your Christmas tree sort of sort of explosive growth. It is super exciting. It reminded me of the same growth in the bitcoin space and it is exciting to see the VCs and the companies come together and build really exciting cool new products. [00:04:55] IAN: Nice. Nice. And so with Hover I mean it’s a free app right you can just download it for free. [00:05:01] DAN: Yeah that’s right. [00:05:03] IAN: And so where like what does it do? What does it do for me? so if I’m if I’m listening to this to this podcast right now and I fly drones or maybe I’m thinking about it. What is Why would I want Hover? So you know this was back in December 2013. I just bought a Phantom 2 vision plus. I was taking it everywhere I could in the mountains in Colorado, I go out to the beach and fight on the beach and you know people kept coming up to me and asking me, hey are you allowed to fly that here. And we were saying we don’t really know. [00:05:42] I mean there there wasn’t an app at the time that told you where you could and couldn’t fly. We found some open data and then took that in and built an app that had a no fly zone maps. Easy to interpret no fly zone maps. [00:06:04] DAN: So we were the first app in the Google Play and Apple app store to have no fly zone maps. [00:06:09] IAN: OK. And what’s the workflow there. So you would you know maybe be thinking about going somewhere or you’d be at the place ? [00:06:17] DAN: Yeah. So you know when we started however we the map view that we had you were able to put a destination so you could input like an address of where you were going. And then you could also check your current location. So using like the current location button you could find no fly zone data applicable to the region right around you. [00:06:39] IAN: Gotcha. Yeah I was I was actually at the office today pulled open the app and I got the check the the Giants schedule because there is a TFR that comes up at certain times for Giants games that extends across San Francisco, so it was nice to be able to see that I mean I didn’t just see hey you can’t fly here. I saw Hey there’s the Giants are playing the Padres or something. [00:07:03] DAN: Hover is a nice easy to use utility app. You can open it up check out no fly zones. We’ve got a nice drop down indicator that that has a checklist, it checks the weather, checks no fly zones and gives you a basically an easy thumbs up or thumbs down, whether you should fly or not. So ready to fly or hey you should maybe exercise some caution the wind speeds are kind of high or hey you’re in a no fly zone you probably shouldn’t fly around here. [00:07:29] IAN: Gotcha. And so you know previously back whenever there was the DJI phantom 2 vision plus, there were no kind of geo fencing capabilities built in. Recently DJI released their geo app. Are you familiar with that Geo service? [00:07:47] DAN: Yeah. They’re working closely with air map to push that out and I believe what it does is it gives you the ability to request permission to fly and certain no fly zones such as like around airports. [00:08:00] IAN: Absolutely. Whenever you have permission you know you’re not supposed to use the app just you know throw in your credit card and say I’m clear to fly here now because I did this. I hope that’s clear actually at the service. [00:08:13] DAN: I’m not sure if it is. I haven’t used it yet. [00:08:15] IAN: Well DJI take note on that just in case. Ok cool. So I think you had a cool kind of announcement as far as user growth is gone. I mean people are using Hover. This isn’t just an app just sitting there. What do you have to say about that? [00:08:33] DAN: That’s right, yeah. I mean since we were the first app in the App Store with no fly zone maps we’ve had some really awesome organic growth. And we just recently surpassed our 100,000th user. [00:08:44] IAN: So awesome. Wow. [00:08:45] DAN: Yeah pretty exciting and I mean you know around one in five U.S. pilots use Hover. Many US Navy pilots. [00:08:52] IAN: Yeah that’s great. And so what countries I mean even actually does this work outside the U.S. or is this more of a U.S. only. [00:09:00] DAN: Yeah. So we originally started with just us maps and then we partnered with Air map and they help provide us with international no fly zone maps. [00:09:10] IAN: Excellent and cool. So you don’t have to be in the U.S. to use it. [00:09:13] DAN: That’s right. It works worldwide. [00:09:14] IAN: Perfect is the when you look at like kind of user demographics. I mean I’m assuming U.S. is leading the pack? He nodded his head Ladies and gentlemen. [00:09:26] DAN: Yeah we’re where our user growth is predominate from the US. We don’t have the app translated in other languages. So I think that’s probably a hindrance to more international growth. However I’m not sure if any other products are or have been internationalized. [00:09:43] IAN: That’s right. Actually I think skyward actually does a little bit of European stuff but I think you know, they’re doing this more as a service and they have a slightly different business model. I was just talking to those folks the other day. But yeah I think they’ve got some European stuff which is nice to see because you know the U.S. is not the only country out there that people have to worry about busy airspace. So that’s really cool. But going back a little bit more to the beginning. Why did you create hover? I mean you you have a drone right or you have two drones. [00:10:17] DAN: Yeah. Well yeah and I’ve got to I upgraded from the Phantom 2 vision plus, you know I didn’t crash, but that was a miracle. A lot of close calls. So then that one survived long enough for me to sell it and then buy a P3 and and an Inspire 1. Not with the proceeds from that I honestly have to spend a little bit more. But I love both of both of those. [00:10:39] IAN: Do you remember how much you were able to sell the used Phantom 2 vision plus for? I’m just curious like resale value on drones. The technology is going so crazy fast right. [00:10:51] DAN: Well you know fortunately I timed it, so the Inspirer one came out before the phantom three. [00:10:58] IAN: That’s right. Yeah. [00:11:00] DAN: I had purchased the inspirer one and so I sold the phantom to vision plus I think for around 750 or 800 dollars and I think the Phantom 3, was announced like a couple of months later. [00:11:11] IAN: Perfect timing Yeah that’s great. OK. So if you time it right you can still sell your drone right before the next one is announced. I don’t even know that the typical announcement of DJI drones is actually I think typically been in like April or something but anyways don’t hold any to that people just try to make sure that you can you know get a little bit of return on your drone if you’re going to sell it. [00:11:38] DAN: I think Ian knows the secret Phantom 4 launch date he is not telling us. [00:11:42] IAN: Phantom five, right. [00:11:45] IAN: Yeah sometime next year. I’m going to go ahead and guess that’s all I’m going to say. Well awesome so but how did you get into drones though like so what made you buy that first Phantom 2 Vision Plus. What made you get that that Inspire 1? [00:12:00] DAN: So my roommate buddy UDI. It’s a little you know really flimsy really hard to fly. Quadcopter but you can buy on Amazon for like 50 bucks. [00:12:13] IAN: One of those indoor ones? [00:12:15] DAN: Yeah. You know it’s got like kind of a rubbery padding on there. It’s got prop cards certain kind of bump and things and it’s basically invincible I crashed it like a 100 times. And so you know if you can fly that can kind of fly anything. I gave it away afterwards. [00:12:38] IAN: Did you sell it for a good ROI? [00:12:40] DAN:I gave it to a friend. [00:12:43] IAN: Its still flying today? [00:12:45] DAN: Still flying today somewhere. It’s fine. Yes. Then I know that the P2 vision plus is very attractive at the time because it had the camera integrated with the quadcopter and all the other solutions at the time had like a GoPro and I felt that experience kind of clunky. And you know having a gimbel that can carry a heavier GoPro is kind of tough. So the P2 vision plus was like that nice easy to use package, all in one package that I was looking for. [00:13:15] IAN: Nice cool. Excellent. [00:13:17] DAN: Brought to you by DJI. [00:13:20] IAN: Yeah they’ve sponsored the podcast, we’re doing some clever viral marketing here. Not that anybody owns a DJI drone. Awesome So we’re going to switch gears here a little bit. Talk about a little bit of recent news here. I don’t know if you’re aware Dan but 7-Eleven made a drone delivery in Reno. They actually partnered up with a company called flirty the delivery drone company did you know about that? [00:13:45] DAN: And I’ve heard of those guys that delivered a slurp right? [00:13:48] IAN: They delivered a slurpee. That’s right. I don’t know what else do you get from 7-Eleven. So what was your first reaction upon hearing that? I mean 7-Eleven doing deliveries that one of the headlines that I saw from a news company or on the blog was that they quote on quote beat Amazon to the punch. What do you think? [00:14:07] DAN: I think using that language is a little bit premature. But you know I’m little bit jealous. I kind of like slurp right now Pretty cool. Yeah I think you’re going to see it like you know this is where I can draw parallels from my time in the Bitcoin space and drone space where you had all these companies in the tech space accepting bitcoin as payment right like Microsoft excepted Bitcoin as payment. You had like name cheap and you know thousands of different merchants and I think we’re seeing the same thing happen with drones where a drone delivery stunt will be, it will be a stunt in a year. We will have seen so many different drone deliveries that it’s going to kind of wear off. So I think is we’re still in that kind of a golden moment where you can take advantage of that free viral marketing. But I’m not sure if that’s going to last long. [00:15:01] IAN: Flirty and 7-Eleven beat Amazon to the marketing punch rather. OK. Now that makes a lot of sense. I mean obviously Amazon’s been you know working on this behind the scenes and pouring a lot of resources and time into it. So I’m sure that they’ve had plenty of undisclosed successful deliveries. OK. Very cool. Glad to get your thoughts on that. [00:15:26] In other news. 18 year old CEO of a company called Teal. This guy named George Matus. I don’t even know if he’s still in high school but he’s barely old enough to be out of high school at typical graduation rates. But this this guy this young man is CEO of a company making the, they claim is the world’s fastest production drone it can reach speeds of up to 70 plus miles per hour withstand winds of 40 miles per hour. Do flips and rolls and record for 4K video that’s electronically stabilized. It’s even got its own app. I mean did you hear about this this young guy? [00:16:07] DAN: No I haven’t. It was pretty cool though. [00:16:09] IAN: Yeah I think I actually it was like Sally French I think did a story on the guy and I think she interviewed him. But yeah pretty amazing and you know he’s a young entrepreneur. I mean what kind of advice from hover and you know well you’ve predominantly done software. So this this is hard, hardware’s hard. [00:16:30] DAN: I avoid hardware because it is hard, yeah. 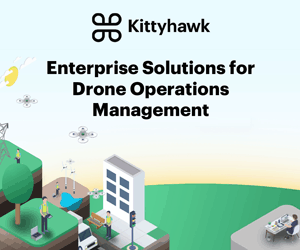 [00:16:32] IAN: What kind of advice would you pass on to someone like like George Matus of Teal, who’s starting up a drone company? [00:16:42] DAN: Man it’s kind of tough. You know talking to talking to my 18 year old self there’s a lot to learn between then and now. You know I think some of it might be you know some things I’m some advice I might pass on would be you know focus on the product. Don’t try to get a lot of marketing around the product until you found product market fit. Focus. You know when it’s hardware there’s a lot of trust involved in terms of delivery. And if you miss the delivery window you’ve kind of lost that trust. [00:17:16] IAN: hey have a preorder kind of sign up deal going on on the web site I checked it out. [00:17:21] DAN: And it not a good track record for deliveries. [00:17:24] IAN: It’s not, yeah what is it Lily right? there’s actually a screen shot, two screen shots. I ran across recently there was one taken back I think it was about a year ago or so and the team page of their web site and there was like you know 30 plus people and now it’s like down like 10 or something like that I mean roughly. I mean so yeah I’m not really sure what’s happening with the whole lilly movement and the team but it’s not looking too hot and it’s just it’s a shame because you’ve got to take all these risks into account. People just really get behind these kind of companies. [00:17:59] DAN: A DJI in the hand is better than a Lilly in the bush. [00:18:05] IAN: There you go, tag line – headline for the next article or actually. This is the title of the podcast. [00:18:12] DAN: That sounds good to me. [00:18:13] IAN: Podcast show. So yeah they’re going to be manufacturing the Teal in the U.S. So I really hope that George can deliver on the promise there. [00:18:22] DAN: Yeah yeah you know I think he also needs to examine like is his drone solving. Is it solving a problem that currently exists amongst pilots. You know is speed an issue? You know I could see for you know I’ve flown my drone and I’ve had like my dad drive a car and I followed him in the car and it’s tough you know with the top speed of the Phantom. I forget what it is but I think it’s between like 35 and 45 miles an hour. [00:18:46] IAN: There’s the new. Have you played around with the phantom 4 ever? [00:18:49] DAN: No I haven’t. Unfortunately. [00:18:51] IAN: They have a new sport mode and it’s actually pretty ridiculously fun. Like you flip it in sport mode. And the drone will actually kind of tilt more, like it will allow you to go faster. And I guess increase the power to the motors. And it’s it’s shockingly fast. 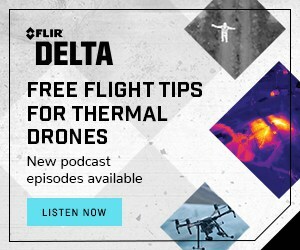 [00:19:09] DAN: Yeah I remember you know what I really love about the drone community is that there’s a lot of engagement on the forums like with phantom pilots, inspire pilots. You know I modded my P2 vision plus controller based off of information I found. [00:19:22] IAN: What mod. did you do? [00:19:22] DAN: Just to boost the antenna game. So it involved me drilling them drilling and cutting and you know, no soldering. [00:19:34] IAN: Nice, easier mod. [00:19:34] DAN: Yeah, they talked about how you can increase the tilt on the rotors. You know if you tilted more basically and you know not to where it becomes unstable but you could you could manually tweak some of those settings like the gain on the tilt. [00:19:52] IAN: OK.Oh yeah. I think the whole like the flips and the rolls and everything. One of the things is it doesn’t really it doesn’t it doesn’t have a gimble. I don’t think so. That’s one of the lily I think kind of features was that it was a clever design didn’t need a gimble? [00:20:10] DAN: I think the Lilly and the Parrot. [00:20:15] DAN: I have to admit I was impressed. I tried it out the Sacramento drone races last year. [00:20:22] DAN: The Parrot AR. [00:20:23] IAN: The AR or the BeBop? [00:20:25] IAN: The latest one. [00:20:27] DAN: Not as familiar with the parrot lines it was one of the first times I’ve ever tried a parrot and you know I think the gold standard is DJI still but it was still impressed to see that electronic stabilization with no mechanical gimple. [00:20:42] IAN: That’s true. Cool, Yeah some software and maybe a little bit of hardware in there that kind of keeps it like OIS, optical image stabilization like in cell phones right? [00:20:50] DAN: Yeah I think you know like Instagram has the hyperlapse app where it stabilizes the footage and I think it uses accelerometer data to do that. So I’m assuming the same process works for the electronic stabilization. [00:21:02] IAN: Clever stuff. Cool yeah. Awesome. So also announced the U.K. government is teaming up with Amazon to test their delivery drones so here we go. Amazon’s getting its come up and back on 7-Eleven and Amazon’s paying for it. They’re going to be doing some testing in the UK doing stuff for beyond visual line of sight collision avoidance swarm technology which is pretty cool and they’ve got some 30 minute delivery claims that they will eventually adhere to. [00:21:33] So I’m kind of teeing you up with a lot of this delivery stuff and I’m not even done yet because I met your buddy Henry earlier today who actually told me that you have some really cool thoughts on how a delivery network could work. I think it also in cryptocurrency like Bitcoin so maybe you can expand on that a little of that. I think he said you guys had a conversation on it before. [00:21:56] DAN: So my good buddy Henry we first met at a drone meet up at a AUVSI drone meet up in San Francisco and we bonded over the idea that I had and it see a blend between the Bitcoin and the Bitcoin space and drone space. So my thought is you know even if Amazon does get very efficient and very fast at delivering packages. It’s still optimal to co-locate your charging stations and and storage facilities as close to demand as possible. [00:22:33] So for instance a drone taking off from a skyscraper and just going 50 feet down to the street is a lot you know over 50 feet horizontally and like another 150 feet down it’s going to be a lot faster than an Amazon drone coming from a warehouse 15 miles away and going 100 miles an hour. And so the idea was drones are going to need gas stations. You’re going to need wireless charging pads and you need these gas stations around dense urban areas. So my idea was and so I used to work in a small investment firm that focused in commercial real estate and commercial real estate rooftop leases aren’t worth anything unless the roof is a very very well located roof where we can put it where you can put like atennas for for cell service. [00:23:24] IAN: What do you mean rooftop leases, like what does that typically mean? [00:23:27] DAN: Well so you can actually lease the roof? [00:23:29] IAN: Like me or you? [00:23:32] DAN: Well cell service providers do. So they put their eyes on certain moves that are like optimally configured in a city with very high or where it’s facing a certain direction and they’ll put cell towers on top of those buildings. Now the rest of rooftop leases aren’t worth anything just because they don’t. There’s nothing else to do with them. [00:23:54] IAN: So they’re just sitting there empty is what you’re saying. [00:23:56] DAN: They’re sitting there empty. And what you could do is you could analyze which rooftops would be optimally placed in the city that aren’t office, that aren’t personal and they’re not retail. You want to go for industrial. Industrial spaces, it’s you know we’re talking mechanics shops and they don’t care if a drone falls through the window or you know if they’ve got grease and all you know 2,000 pound cars up on hoists you know it’s industrial spaces are used to things being noisy and dangerous. [00:24:27] And so you could you would you’d want to do is you’d look at all the prime rooftop industrial rooftop real estate space and the top major urban areas and then you go to the landlords and you know hey I’ll pay you money to lease your roof and they’re like really I mean who wants to lease this roof it’s worthless. You know like well here’s my idea behind it. I’ll pay you for two years and I promise I won’t put anything up there. But in a couple of years I may start putting some installations for some drones and it will weigh this much and you can expect this and you’re like OK we all take money now and then also in your lease contract. [00:25:06] So for instance Wal-Mart has 60 year leases. So what you can do is you could structure the lease to where you have renewal options. Go basically to infinity. So you could essentially buy up all of the prime gas stations spots and the major urban areas and then what you build on top of there is sort of like a box. [00:25:27] IAN: Battery charging stations. [00:25:29] DAN: Correct. And so you could even have it you could even have it in a separate system it would even have to be connected to the electrical system of that building which you could do is have like a hollow box on the roof you have solar panels and underneath you have wireless charging pads with like your codes. So the drones would go in and this is where a Bitcoins come in. So in the future when you have like really intelligent fleets of drones as the owner of the fleet of drones I’m just optimizing their algorithm and their sourcing. They’re being distributed. So that would be like an order book of, hey there’s a bunch of tourists who want selfies on their you know Embarcadero in a journal be like OK well I get paid $2 to do that and to charge on one of Dan’s gas stations that cost 50 cents and settle simultaneously negotiate it and then take the spread. [00:26:23] IAN: So are you saying that I could own a drone and put it to work like that or would it be a company? [00:26:32] DAN: I think the future is, you know it’s kind of cool to think about having your job and go to work for you. And you know DJI products are a pretty state of the art. Most of them can. They can almost do that. But I think the future is very customized fleets for specific purposes. So you’d want, no heavy lifter drones for 20 pound packages and you want like a little light drone that can carry it like that like a prescription. [00:26:58] IAN: Or just the camera drone for that selfie in Embarcadero. [00:27:02] DAN: That’s really the UAV, like the quadcopter combined with the payload, whether the payload be a camera or something is picking up for you. And you know you basically own all the prime gas stations. [00:27:16] IAN: I love this. That’s amazing. So if – I don’t know where I was going with that. My whole mind is just going crazy now thinking about this – this is really cool. Oh I was going to say about the the network. So for the actual communication, do you envision like this LTE or something. I mean it’s just using like the cell towers that are already on the roof. I mean imagine if you’re kind of doing this low altitude then the connection is actually excellent. [00:27:50] DAN: Yeah I mean you could do a variety of different connections each landing packet, like a router. Or you could have – I mean LTE would be preferred that way the drone could establish a connection with the landing pad before it lands. Yeah I mean that I kind of just envision whatever communication protocol is standard at the time would be used. [00:28:12] IAN: How did the Bitcoin come in again? Did we expand on that part? [00:28:15] DAN: Yes so what happens is is that with A.I. and autonomous fleets. Because I think we can both agree autonomous vehicles and autonomous UAVs are the future. Right? I think you know companies like Ford, GM and a bunch of these companies are focused – Apple Tesla, they’re all focused on building autonomous cars. I think we’re seeing that autonomous aircraft are actually much easier to build. So a lot less stoplights in the sky. No people walking around. You got a couple of birds but it’s a little bit more spacious up there. [00:28:51] So I see autonomous aircraft becoming popular very soon and I think when they’re autonomous like that the owner of the fleet is merely optimizing the algorithm for efficiencies and the drone will have to be given some sort of autonomy in terms of charging and negotiating for different services as it provides. So essentially the drone could negotiate with a charging pad and a go – hey charging pad, I need a charge and the charging pads like well this is prime time, its surging. You’ve got to pay a dollar to charge here. [00:29:33] And then they can negotiate with other pads as well. Maybe there’s another network. Instead of Dan’s charging pads there’s Ben’s charging pads and so it can negotiate with both. And look at like OK well but Benz’s is 200 yards away. And I would spend X amount of energy to go over there. And maybe it’s worth it. [00:29:52] IAN: Maybe I’ll run out of battery before I’ll down on something. I like this future that you’re painting. How far is it? [00:30:02] DAN: Well yeah that’s the tricky part right. I think we can all agree that autonomous aircraft are coming soon. But what is soon? You know the Phantom 4 is impressive, with collision avoidance that was really the final sensor that needed to be added. Now granted it’s only a front facing collision avoidance sensor so you have some issues there. However I think we’re very very close especially since DJI has an SDK, you got developers building really cool innovative things. You know like guys in autopilot. Have you ever heard that app? [00:30:38] IAN: Yes I have. Yeah. [00:30:39] DAN: That’s pretty cool. So Jim McAndrew ,He’s the CEO of that company and they have an app where you can – you know they’re looking to script aerial cinematography – so you can you can build this really complex smooth, awesome aerial shot of like your really nice home in Austin. You can copy and paste that same flight path to a different location and then tweak it. So I think stuff like that is really cool. That’s kind of the bridge between our autonomous future and now when it’s kind of it’s manual combined with the ability to automate some processes. So I think we’re about for about three to five years out until we see fully autonomous drones. [00:31:25] IAN: That’s awesome. Wow. OK. I really like that. That’s really cool. I’m digging the forward thinking and how much thought was put into that. I really do definitely respect that. So I’m excited for a future that that does contain that. You know that’s three to five years out. I mean software is it’s going to be a huge part of that. 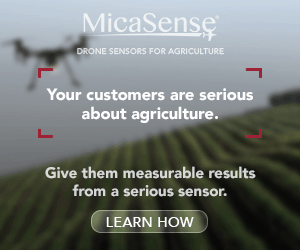 What do you think the role of software plays in the industry today right now with drones? [00:31:55] DAN: I feel like software really unlocks the value on the hardware. And that’s where DJI, I think is well-positioned to take advantage of that. They knew that maintaining the hardware advantage over time will be tough. Hardware would get committed. [00:32:09] IAN: If not already, its pretty close. [00:32:09] DAN: If not already, I mean Unique is pretty impressive. Their new you know, they’ve got – a hexicopter with foldable landing gear. 4k-video, collision avoidance. Brought to you by Intel too. [00:32:32] DAN: It’s pretty nice. So I think DJI realizes that Frank Wang is a very cunning smart guy. So I think he realized that early on and I think what – so I have an idea of what DJI is really doing. [00:32:46] IAN: Let’s hear it. [00:32:48] DAN: They want to be the operating system for robotics. And they’re crushing the first vertical is UAVs. [00:32:55] IAN: A vertical, vertical. [00:32:56] DAN: Yeah it’s like Amazon with books, like books and electronics and then they went horizontal. [00:33:01] IAN: Now they’re doing. [00:33:02] IAN: Powering the entire internet basically and drones. [00:33:06] DAN: And drones. Yeah. And so I think DJIs are going to crush the UAV vertical and then go to books. [00:33:12] IAN: They’re opposite of Amazon. [00:33:18] IAN: Wow. Insane. I like this insight that you’re dropping. Are you planning on taking the Part107 test, to be a commercial operator of drones when it’s released? [00:33:28] DAN: Totally. You know it’s been it’s been fun flying recreationally but you know it’s nice to make a little bit of money on the side and I really love flying drones and if I can make money and do something I love at the same time that’s sounds like a great deal. [00:33:43] IAN: No brainer. That is awesome man. Well this was really cool so if you’re interested you can check out the Part107 test prep that I released. I did an episode, I believe it’s episode 6. So I went over the 35 questions but wow. Dan thank you so much for joining the show. It’s been really, actually legitimately mind blowing to have you on. I’m really liking the depth that you put into that. [00:34:11] You can go ahead and follow Dan Held on Twitter @bitonbit and you can check out Hover apps or Hovers’ Twitter @hoverappio or go to their Website hoverapp.io and you can go ahead and get links to download it. It’s free, it’s on Google Play, on iOS. Dan, one quick last thought you guys have any future plans for Hover before we go ahead and sign off? [00:34:39] DAN: Yes, so you know you spent quite a bit of time looking at huffers roadmap like what should we build next. And we’ve got a new premium tier that I think we’re going to be launching the next couple of months, a premium tier has some really nice features that users have been asking for. And it comes at a very small price but we see that being. It won’t limit any functionality that currently so everything that Hover has now is going to be free. This is like a whole another awesome level above that. [00:35:15] IAN: Excellenct. Cool. Well stay tuned everybody. Next couple of months likely, we’ll have to wait a few more years unfortunately to see this autonomous delivery drone network with drone gas stations on our rooftops, but that gives us all the opportunity to own an industrial building as well and then we set out to Dan and Hover, so thanks once again Dan for joining us on the show. I’m going to go ahead and sign us off here. [00:35:39] Please follow us on Twitter if you like what you heard @dronespodcast or on Facebook.com/dronespodcast. We’re going to be back soon. We’re keeping the momentum here and we’ll have even more people as cool as Dan and dropping some of these awesome insights, so we’re really looking forward to the future. [00:35:59] IAN: Thank you so much for listening and make sure you fly safe. Cheers. [00:36:03] DAN: Thanks for having me Ian.